Technical information on Paradox memory mangement. Written in reference to Paradox 1.0, but most still applies to 2.0 and 3.0.
machine. Most, if not all of this memory should be allocated to Paradox. print spoolers can seriously interfere with Paradox operations. 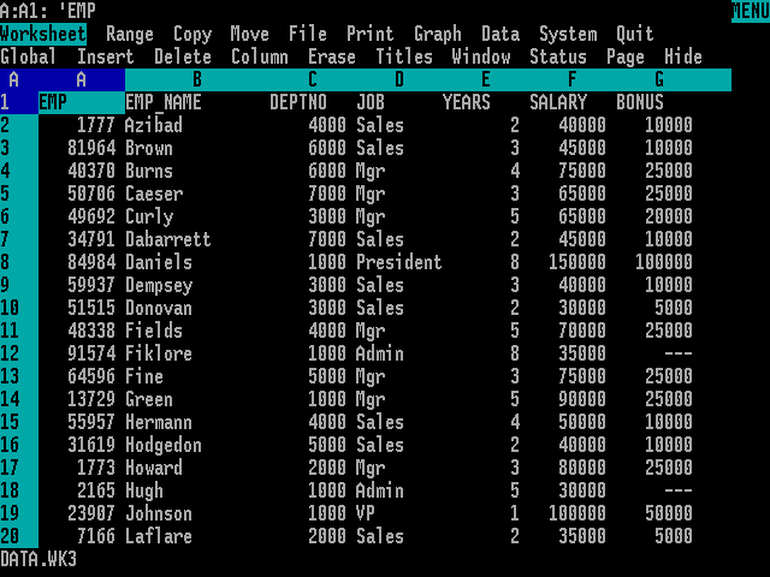 o Select the PAL menu with Alt-F10 and select Value. o Type memleft() followed by a carriage return. The default space taken by an image is 22 times the record space. of the Paradox User's Guide. Memory pool in bytes, can be useful in tuning a memory-intensive application. known as it should be. The MEMLEFT() function is documented in Release 2.0. Paradox stores arrays at 4 bytes per element). Customer Support for further advice about your specific situation.